IST Austria | Can you evolve while being robust? It is often thought that DNA, together with the genes encoded in it, is the essence of life. But equally important is coordinating when genes are turned on and off. In fact, it is this process, called regulation of gene expression, that defines life by allowing organisms to react to their surroundings rather than being static automatons. As even the smallest organisms like bacteria have many genes, coordinating their expression is done by a dedicated set of proteins, which bind specific sites in the DNA (called ‘promoters’) in order to turn genes on or off. Each such pairing between a protein and its associated promoter constitutes one of myriad connections in the organismal gene regulatory network. Gene regulatory networks are intricately tuned, so how can they evolve and change? In a study published in Nature Ecology and Evolution, a team of researchers at the Institute of Science and Technology Austria (IST Austria), including co-first authors Claudia Igler (PhD student in Calin Guet’s group) and Mato Lagator (Postdoc in the Guet group), as well as Calin Guet, Gašper Tkačik and Jonathan Bollback (University of Liverpool), describes how individual regulatory connections can change over time. Usually, gene regulatory networks are studied at the global level, with researchers seeking to understand how the properties of the network as a whole determine its evolution. Igler et al., however, decided to study network evolution from the local perspective in order to understand how connections in the network change. To do so, they used two DNA-binding proteins and their associated promoters. These proteins are called ‘repressors’, as their binding to DNA inhibits gene expression. But, as is often the case, biology is full of surprises. Comparing between the two studied repressors, the researchers found that the more robust repressor acquired binding to new promoters more readily. Claudia Igler, one of the paper’s co-first authors, is a PhD student in the group of Calin Guet. IST Austria’s interdisciplinary graduate school offers fully-funded PhD positions in the natural and mathematical sciences. For Igler, the requirement to work with different groups in the initial rotation year was the graduate school’s strongest point: “I come from a theoretical background in mathematical and biomedical engineering. However, I had always wanted to try working in a lab. IST Austria’s graduate school was ideal as the rotations allowed me to see whether experimental work fitted me. 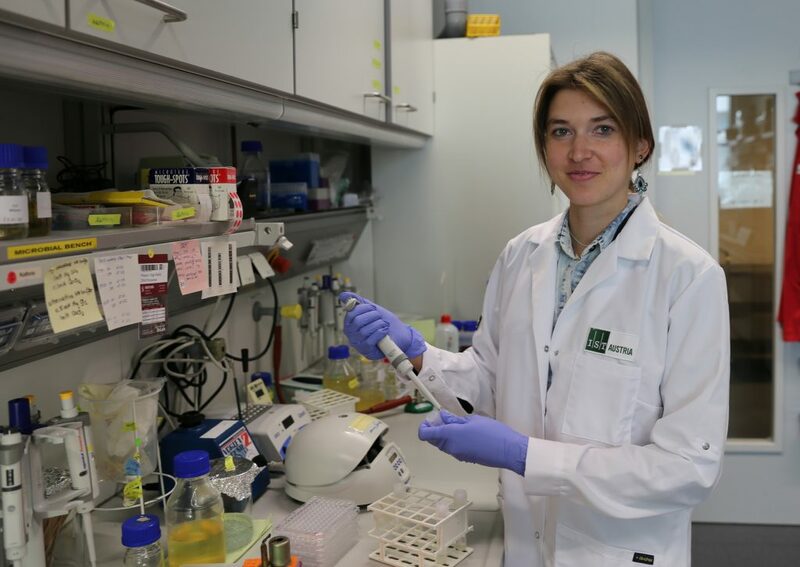 Although I had initially thought I’d work in neuroscience, I joined Calin Guet for my first rotation and liked it so much that I decided to stay here.” Applications for the next year of study at the IST Austria Graduate School start in mid-October.